IEBC CEO Ezra Chiloba to be jailed over Media advertising debts. - Bana Kenya News, Real African Network Tubanane. 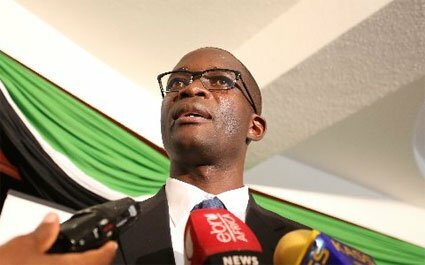 Home featured Nairobi IEBC CEO Ezra Chiloba to be jailed over Media advertising debts. IEBC CEO Ezra Chiloba to be jailed over Media advertising debts. The IEBC has been sued by a media company following accrued debts that the commission has not been paying since 2013 general elections. The debt with attracted interest now mounts to be Ksh 150 Million. Transcend Media wants the Independent and Boundaries Commission Chief Executive Ezra Chiloba, who is currently on leave, held responsible for the failure to settle the Sh150, 367,882.40 debt. Through lawyer Neville Amolo, the firm claims it first sued IEBC in 2014 while seeking payment of Sh198,787,892.40. But the High Court in July ruled that the firm is paid Sh150, 367,882.40 with interest. The IEBC through its secretariat led by CEO Ezra Chiloba inherited the debt and added more debt that the commission has not been able to pay. The Ksh 300 Billion the commission used to conduct the repeat polls was also debt from China.